jkkmobile: HTC Shift UMPC shipping with "limited" Windows Mobile 6? 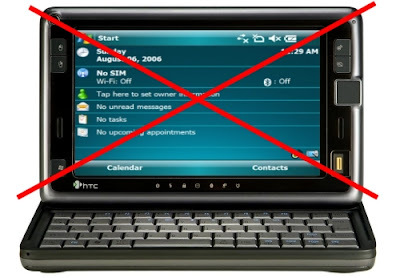 HTC Shift UMPC shipping with "limited" Windows Mobile 6? I noticed that on preview video at GottaBeMobile.com there was many things missing on the WM6 interface... like Start button. Kaz was just playing with it and noticed the same:"The current model only got a "limited" Windows Mobile 6 built in. No Mobile Office in it." So can we install other softwares to it? If it will be limited version with limitations, it really can't justify the native resolution of 800 x 480. You better put full WM6 with Office and SideShow goodness to it HTC!!! It's looking more and more like HTC is going to release a crippled device...native screen res, WM6, no voice support...But we will find out for sure in just one week. ... if not, I'll kill the wm6 part and swap 1024 x 600 screen to it. If they didn't want the whole WM6 suite, why not use Windows CE from the start? Then people wouldn't have expected the same features the currently enjoy with WM6. What we were anticipating was the best of Vista with the best of WM6, not a crippled version of both! Oh well. Maybe the next generation.